Description: Our office is right next to our front door and there is no door to the room so it is completely open. In order to get a modicum of privacy, we decided to use the Expedit desk system and face the bookshelves towards the door. Of course, the bookshelves themselves hold all our pens, papers, headphones, and change, so we didn’t want that mess to be the first thing people saw when they entered our home. 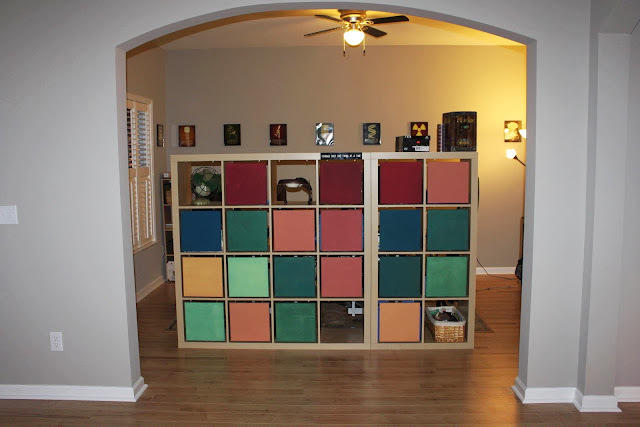 For a room divide solution, we bought 24 12 x 12 canvases from Blick which we painted in various shades. 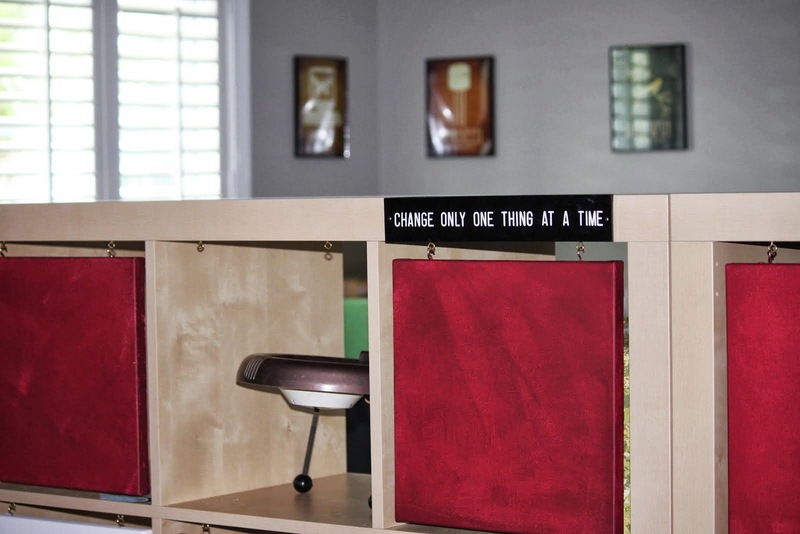 We put two eye hooks in each cubby and two matching cup hooks on the top of each canvas. 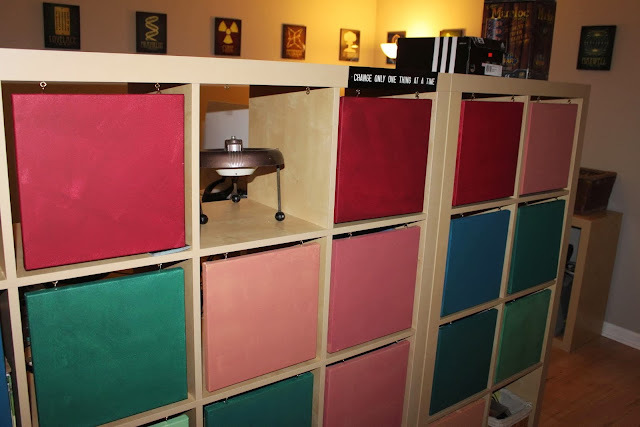 The canvases swing open for easy access. They can be removed to reveal something as cool as my 1940s desk fan and magnifying glass. They can also be moved around to create pixelated pictures. DC, I am guessing this is a pretty stable construction, even if they didn’t attach the shelves. Expedit shelves are incredibly stable by themselves. Tara, I love your idea with the canvas “curtains” that you can simply remove. Brilliant. Wish you had showed a close up shot of one of them. Thanks for the idea! How stable is this? Did you mount it to the floor?